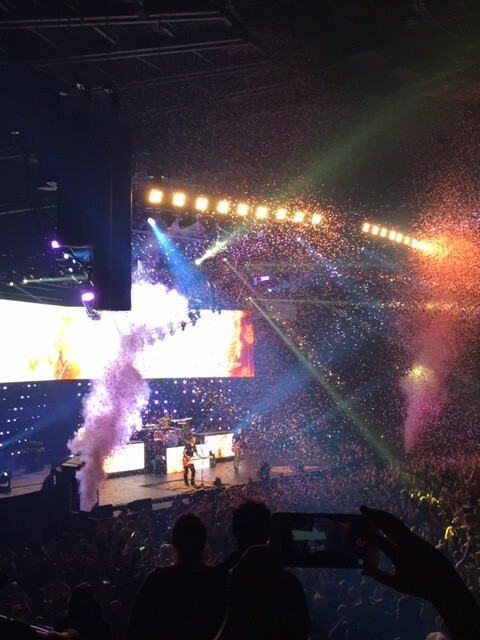 BLINK-182 Wraps Up Their Summer Tour With A Bang At LA’s The Fabulous Forum! Blink 182 wrapped up their massive summer tour in Los Angeles last week at the Inglewood-based venue, The Fabulous Forum. 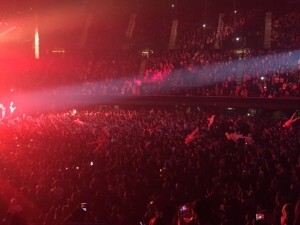 They performed sold out back-to-back Friday and Saturday night shows at the roughly 17,000 capacity arena. 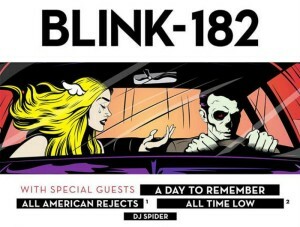 Alt-Rock bands A Day To Remember, All American Rejects, All Time Low and DJ Spider joined them for select dates. 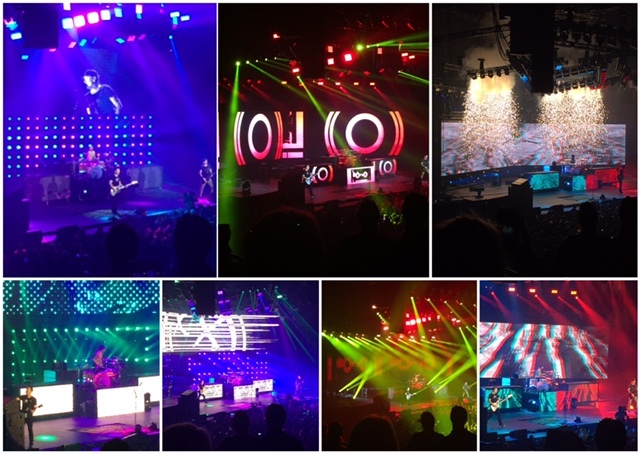 Blink 182 had plenty of reasons to be out on tour this summer. For one thing, they released their seventh studio album, “California” on July 1st via BMG/Vagrant. 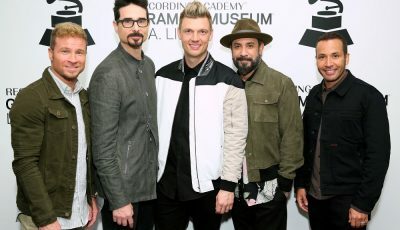 The collection was produced by John Feldman, who was the group’s first new producer since longtime collaborator Jerry Finn. Apparently, they all regularly spent 18 hours in the studio a day, aiming to start and complete multiple songs in that timeframe. “We all wanted to write the best record that we could […] It does feel like a new beginning. It feels like when we used to tour and sleep in the van because that’s all we wanted to do is play rock music,” said Blink 182 founder Mark Hoppus. Upon it’s release, “California” became the band’s second number-one album on the Billboard 200, and first in 15 years. It’s lead single, “Bored to Death” became the group’s first number one single in 12 years. 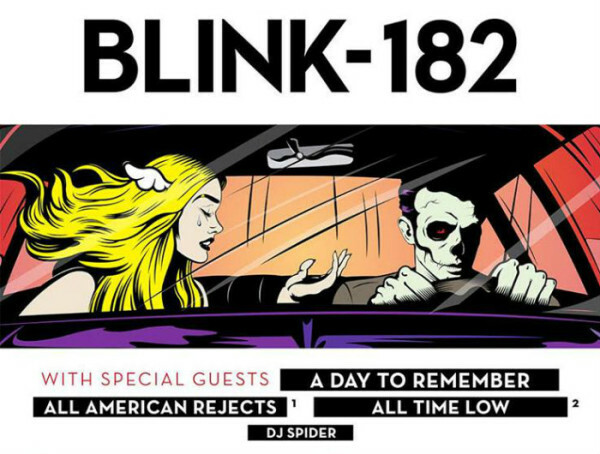 Another reason for Blink 182 to tour this summer was to celebrate the newest member of the band. Matt Skiba officially joined the trio (replacing Tom DeLonge) of Mark Hoppus and Travis Barker in 2015. On Friday, October 1st, Blink 182 entertained the packed venue for about an hour and a half with hit after hit. 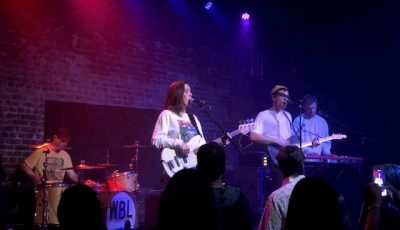 Of course, they also played several songs off their newest collection. 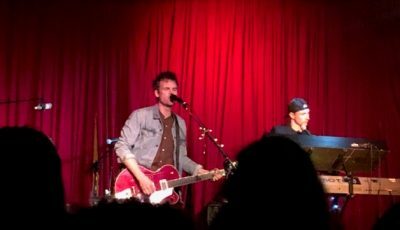 Their 90s and early 2000’s songs like “What’s My Age Again,” “The Rock Show,” “First Date,” “I Miss You” and “All The Small Things” were particularly enjoyed by the lively audience. 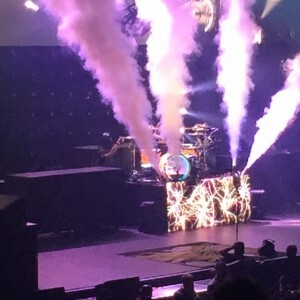 The pyrotechnics throughout the show must definitely be mentioned as well. Fire shot out of the stage every couple of songs even making the room fairly warm. Every time it did, a loud banging noise filled the arena. Who could also forget the dozen or so blow up dolls that were thrown into the front of the crowd?! 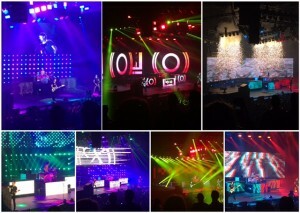 Concert goers proceeded to dance and play with them throughout the show. An Interview With New York-Based Singer-Songwriter, STEWART TAYLOR! 16-Year-Old Singer-Songwriter SOPHIE ROSE Discusses Her Biggest Inspirations and More!